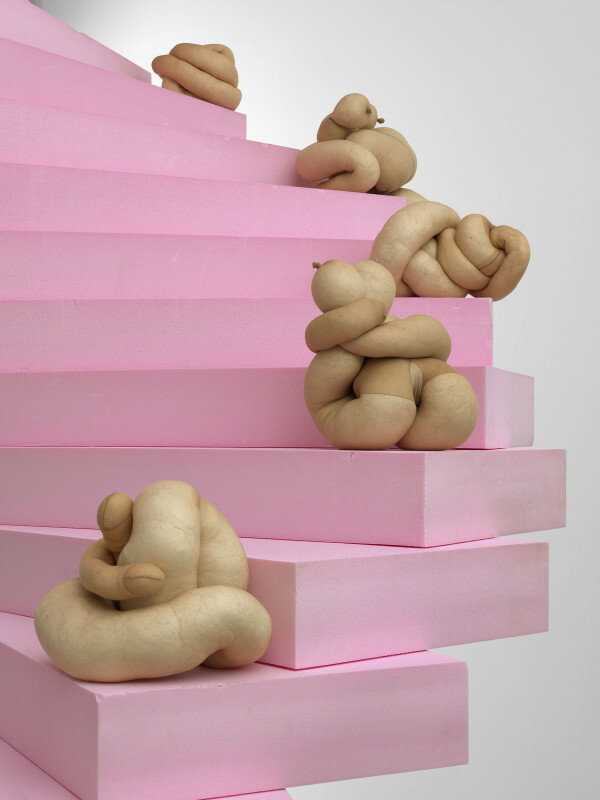 Sarah Lucas (b. 1962, London) studied at Working Men’s College (1982-83), London College of Printmaking (1983-84) and Goldsmith’s College (1984-87) (all London). Over the course of two decades, Lucas has become recognised as one of Britain’s most significant contemporary artists. Spanning sculpture, photography and installation, her work has consistently been characterised by irreverent humour and the use of everyday ‘readymade' objects – furniture, food, tabloid newspapers, tights, toilets, cigarettes – to conjure up corporeal fragments. The body – in its many guises – is Lucas’s prevailing subject. In the 1990s she placed herself at the heart of her work in a series of photographic self-portraits. These images’ disarming mixture of vulnerability and attitudinising set the double-edged tone of much of the artist’s subsequent work.